We’ve taken that wisdom and applied it to our modern circumstances, referring to ‘flogging a dead horse’ as an analogy for trying to force something that clearly isn’t going anywhere, to get up and walk. In fact though, it is the rare one among us who doesn’t have a dead horse or two in our lives that we are reluctant to simply leave behind because of what we mistakenly believe to be its potential. I refer of course to prospects and customers who we spend time and energy on when like the dead horse, they’re clearly not going to give us the result we want no matter how much we want it. they’re an opportunistic fit rather than a really obvious one. you have to remind them what you’re calling them about. they take longer than normal to make a decision and can’t explain the reasons. they don’t take your calls, nor respond to your messages. ABC Company appeared on my list of leads and being the dedicated sales hunter I am, I chased down every single one of them. You never know until you try who you might turn up, and the most surprising people will eventually come back to you and say: let’s talk about this. So I called them and we had a chat about what it is they need and what it is we can do for them. The audience we reach wasn’t entirely the one they wanted, but there was some overlap, which should have been the first sign. Except that they said they were interested and wanted to learn more and so I spent time personalising some information for them and sent it through. Nothing really wrong with that, you might think, except that the fact that we can’t help them get the audience they want is kind of a biggie, you know? If we were the only supplier in the world, it might be that they have no choice but to take a chance. But we’re not, and they do have choices and part of me knew even then that an outcome was very unlikely. So I followed up. Several times. We had a time in the diary to pick up the conversation again but the prospect clearly didn’t put that in his own diary, or chose not to respect it perhaps. Eventually, I got him on the phone and he asked me to remind him of the opportunity. Naturally he hadn’t read any of the material I had personalised, but of course, who does? But the fact that he couldn’t really recall even the basics is a clear indicator of how much it excited him. He nevertheless said that he would “speak to some people internally,” and get back to me about it. I suggested we pick up the call again a week later and he agreed. When at last we spoke again, after several attempts to reach him – he missed our call slot again – he said that they were still thinking it through and hadn’t come to a conclusion yet. In my experience, customers who make a decision to buy, find it easier than that. Those who choose not to buy find it easier than that too. Those who dillydally … well, they’re not really making a decision at all. He couldn’t explain the process or what the timeframe for a decision would be, or perhaps he just wouldn’t. Either way, the writing was by now all over the wall. Not that that stopped me from trying. I still called and messaged him in the weeks that followed. I don’t believe in letting one get away. I never got through again however and after a short while, I decided it would be more damaging to a future relationship to harass him than it would to keep hoping he’d change his mind about a decision he probably made on our first call. I left a very pleasant and respectful message thanking him for considering us and wishing him well in the future. You never know what might turn up. You waste your time. YOUR time, which is very limited, can be better spent elsewhere on prospects and customers who are giving you the right signals. Be realistic about whether you think you have a dead horse on your hands before you invest the time to flog it. You have an unrealistic pipeline. How many dead horses are in yours? Be realistic about who they are and get them out of there. Your pipeline should reflect sales that are progressing not those that are stopped dead in their tracks. You lose a potential prospect for the future. Once you bug them into ignoring you, you’ll probably never get them again. You should be selective about ever calling them again anyway, especially if you’re still not a good natural fit for them as in the example above, but come the day you feel you’re able to help them, it would be a pity to have killed the relationship over something they were never going to buy. 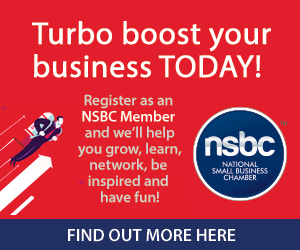 SalesGuru is proudly associated with the NSBC.